In a large mixing bowl, beat together butter, sugar and espresso powder until smooth and creamy. Mix in eggs, one at a time, beating until combined after each. Mix in vanilla and melted chocolate until completely combined. Add flour, stirring just until combined. Pour mixture into a 9" x 13" baking pan coated with cooking spray, smoothing the top with an offset spatula. Place pan into the oven and bake until a toothpick placed near the center comes out mostly clean with a few moist crumbs attached, about 24 to 28 minutes. Remove and place pan on a wire rack to cool completely. In a large mixing bowl, beat together butter, sugars and salt until smooth, creamy and the mixture has lightened in color, about 4 to 6 minutes. Be sure to stop and scrape down the bowl every couple of minutes. Beat in milk and vanilla until combined. Add flour, stirring just moistened - fold in chopped chocolate. 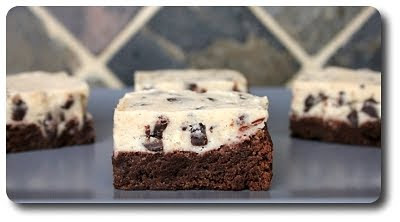 Drop dollops of cookie dough all over the top of the cooled brownies, spreading to cover the top in an even layer. 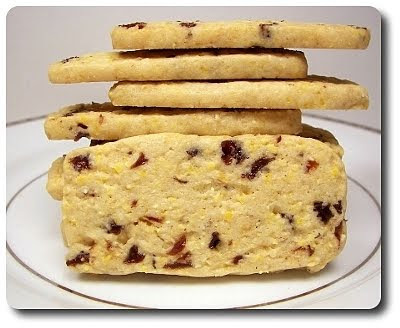 Place pan into the refrigerator and chill until the cookie dough is firm before cutting. In a large mixing bowl, beat together butter and sugars until smooth and creamy. Mix in egg and vanilla until thoroughly combined. Gradually mix in dry ingredients until the dough is stiff and smooth. Evenly divide the dough into 24 potions, rolling each into a ball or rounded rectangle - place 9 pieces of dough to a silpat or parchment lined baking sheet and press 4 pretzel sticks firmly into each side of the dough balls. If you find the sticks seem too long, break off about 1/4" from one side before placing them into the dough. Place into the oven and bake until the cookies are just firm to the touch and the tops show a small crack or two - about 10 to 13 minutes. Remove and allow to cool for 5 minutes before gently transferring the cookies to wire racks to cool completely. In a large microwave-safe container, melt chocolate chips and oil on medium power, stirring every 30 seconds until smooth. Place one baked and cooled cookie onto a large fork and while holding it over the bowl of melted chocolate, use a spoon or small scoop to cover the top of the cookie and pretzel legs entirely with chocolate, gently tapping off the excess. Transfer coated cookie to a wire rack set over a baking sheet to collect any drips - repeat process to coat 3 or 4 cookies. 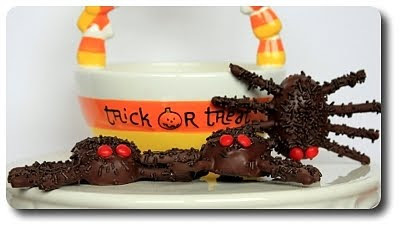 Sprinkle cookies with the chocolate sprinkles and press 2 red candies onto each for eyes. This way the chocolate has a chance to set slightly so the sprinkles and candies won't slide right off. 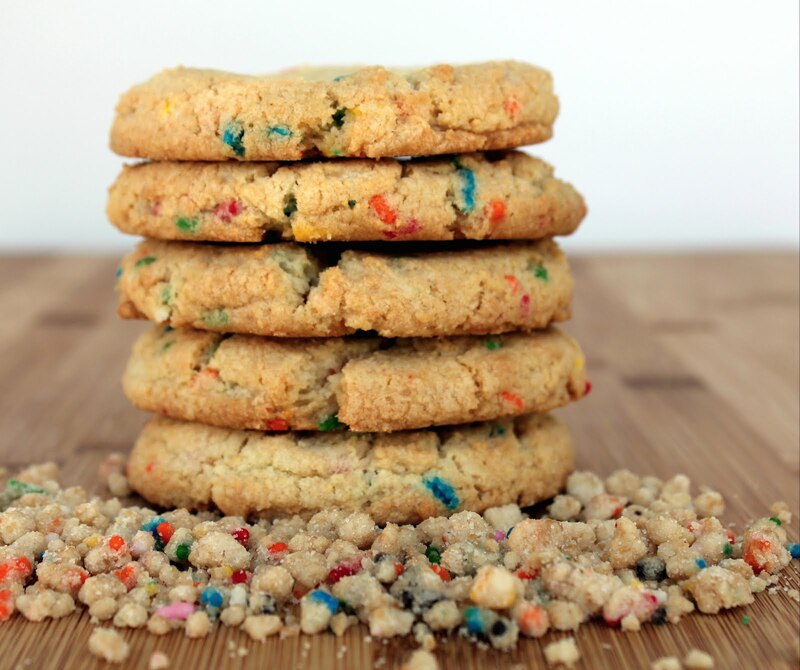 Repeat process to coat every cookie. Set cookies aside for several hours to set. In a large mixing bowl, beat together butter and sugar until smooth and combined. Mix in vanilla. Gradually mix in flour and coarse salt, mixing to combine. Divide and roll dough out into 54 1 1/4" balls. In a shallow bowl, beat eggs to combine. Spread coconut over a large shallow dish. Dip each cookie ball in beaten egg, then roll in coconut. Place balls on parchment-lined baking sheets - press an indentation into each with your thumb. Place into the oven and bake for 10 minutes, then remove sheets from oven, and re-press indentations. Rotate pans and place them back into the oven - bake cookies until golden, about 9 to 10 minutes more. Remove and transfer cookies to a wire rack to cool completely. In a small saucepan, add caramels and heavy cream. 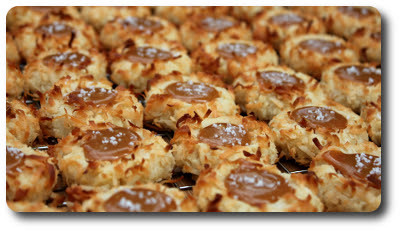 Place over low heat - cook, stirring constantly, until the caramels are melted and mixture is smooth, 4 to 6 minutes. 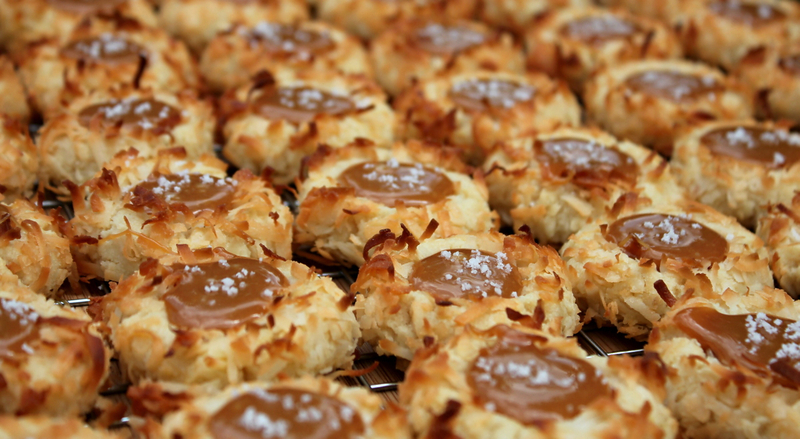 Spoon caramel into the thumbprints in the center of the baked cookies, then lightly sprinkle with Fleur de Sel salt. If caramel begins to harden or is hard to work with, gently rewarm. Place 1 3/4 cups pretzels into a food processor - pulse until powdery. Scoop out 1/2 cup of the powder and place it into a medium bowl, then reserve any remaining for another use (ice cream topper perhaps?) Add flour, baking powder and salt into the pretzel powder, whisking to combine. Place remaining 1 1/2 cups pretzels into the food processor - pulse until coarsely chopped. In a large mixing bowl, beat together butter and sugars until very smooth, pale and fluffy, about 4 to 5 minutes, stopping to scrape down the sides and beater once or twice. Mix in egg yolk and vanilla. Stir in dry ingredients until combined - mix in 1/2 cup of the coarsely chopped pretzels. Scoop dough into a 4 1/4" x 13 1/2" fluted tart pan with a removable bottom coated with nonstick spray. Press mixture down to form an even layer - scatter about 1/4 cup of the coarsely chopped pretzels on top of the dough, pressing them down lightly to adhere. Feel free to snack on any remaining chopped pretzels! Place pan into the oven and bake until the shortbread is firm to the touch in the center and lightly golden around the edges, about 25 to 30 minutes. Remove from the oven and place pan on a wire rack to cool for 1 hour. 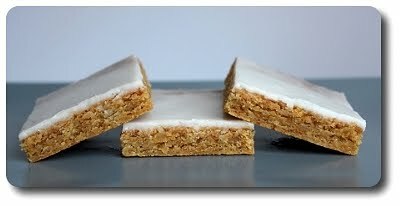 Remove from the pan and use a serrated knife to slice the shortbread into 1/2" wide rectangles. In a food processor, process almonds and 1/4 cup of the flour until the nuts are finely ground. Add remaining flour and pulse until blended. Scatter butter pieces over the flour mixture and pulse until blended. Drizzle honey over the top of the flour mixture, then pulse until the mixture forms clumps of dough, stopping to scrap down the sides of the bowl as needed. Scoop dough out of the bowl and place it into a 13.75" x 4.25" rectangular tart pan, with removable bottom, coated with cooking spray. Press dough evenly over the bottom and up the sides of the pan. Place pan onto a baking sheet, then set into the freezer until the dough is firm to the touch, about 15 minuets. Place pan into the oven and bake until lightly browned, about 12 to 16 minutes. Gently spread fig jam over the bottom of the crust - scatter crumbled goat cheese over the top, then place back into the oven and bake until the crust is golden brown and goat cheese has softened, about 6 to 10 minutes. 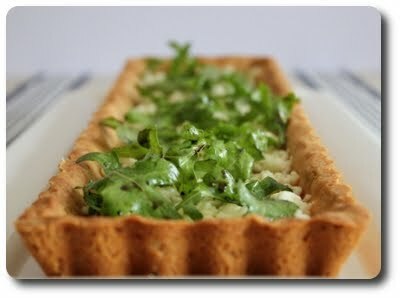 Remove and allow tart to cool slightly. In a medium bowl, toss together arugula, vinegar and olive oil - season with salt and fresh ground black pepper. Top tart with arugula mixture to serve. In a medium saucepan, add anchos and chicken stock - bring to a low boil, then reduce to low and allow to gently simmer until the chiles have reconstituted. Meanwhile, in a large Dutch oven, add bacon and cook over medium-high until browned and crisp, about 7 minutes. Using a slotted spoon, transfer bacon to a paper towel-lined plate to drain - remove all but one or two tablespoons of the leftover bacon fat. Add turkey and cook, stirring occasionally, until browned and crumbled. Season with salt and fresh ground black pepper. Stir in onions, chipotle in adobo, paprika, cumin, coriander, cocoa powder and cinnamon - cook, stirring, until the onion has softened, about 10 minutes. Stir in garlic and cook until fragrant, about 1 minute. Stir in tomato paste and cook, stirring, for 1 to 2 minutes. Stir in beer to scrape up any bits stuck to the bottom of the pan. When the chiles have softened, puree the mixture together. Pour puree into the chili, then stir in reserved bacon and beans. Allow mixture to simmer over low heat until thickened, about 20 to 30 minutes. 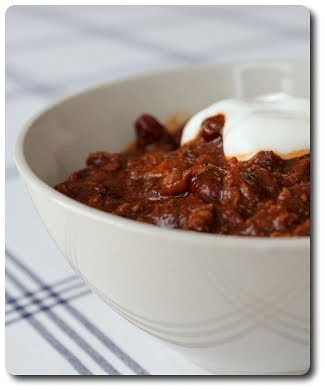 Serve with your favorite chili condiments on top. In a large mixing bowl, stir together cocoa and baking soda - whisk in 3 tablespoons butter, whisk in boiling water and Kahlua. Whisk in sugar, egg and remaining butter until smooth and combined. Add flour and salt into the bowl, stirring just until combined. Fold in white and bittersweet chocolate chips. Scoop batter into an 8" square baking pan coated with cooking spray, then spread the top smooth with an off-set spatula. Place into the oven and bake until the brownies begin to pull away from sides of pan or a toothpick placed in between the center and the edge comes out with a few moist, fudgy crumbs attached, about 26 to 30 minutes. Remove and allow brownies to cool completely before cutting. Makes about 9 to 12 brownies. In a medium bowl, whisk together flour, almond flour, sugar and salt. Using your fingers, work in butter cubes until the mixture resembles coarse sand. If you find the mixture is too dry or won't hold together when squeezed, sprinkle in a teaspoon or two of water. Evenly divide crumb mixture between the wells of mini cheesecake pan lightly coated with nonstick spray - press crumbs firmly to the bottoms and about 1/2" up the sides. Place pan into the oven and bake until set and lightly golden around the edges, about 8 to 10 minutes. Remove from the oven and allow to cool. In a large mixing bowl, beat together cream cheese and sugar until smooth. Mix in the sour cream, egg, vanilla and salt until smooth and combined. Evenly divide the mixture between the crusts, using about 2 tablespoons of batter in each one. Place pan into the oven and bake until just set, about 17 to 20 minutes. Remove and place pan on a wire rack to cool for 30 minutes. Remove cheesecakes from the pan and allow to cool. 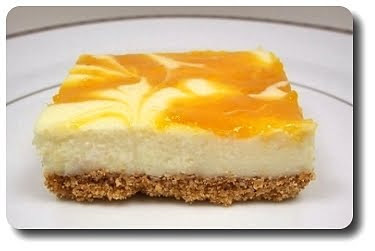 Place cheesecakes into the refrigerator to chill for a few hours before serving. 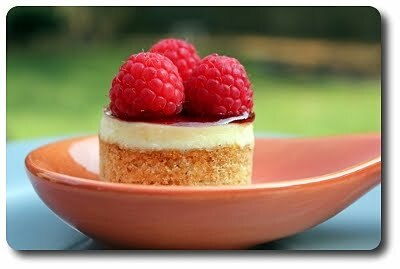 If desired, top each with a dollop of warmed raspberry jam and fresh raspberries to serve. Makes 12 individual cheesecake tarts. In a Dutch oven, heat oil over medium. Stir in celery, carrots and onion - season with salt and pepper and cook, stirring occasionally, until the vegetables are soft, about 7 to 9 minutes. Stir in garlic and cook until fragrant, about 1 minute. Add oregano, tomatoes, broth and Parmesan rind into the pot - increase heat to high and allow mixture to simmer rapidly until liquid thickens slightly, about 5 minutes. 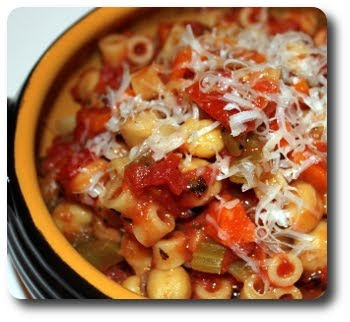 Stir in pasta and cook, partially covered, until tender, about 9 to 14 minutes. Add beans - cook until warmed through, about 3 minutes. Just before serving, remove cheese rind. Sprinkle each plated portion with Parmesan cheese to finish. Preheat oven to 500 degrees with a pizza stone placed on the lowest rack. 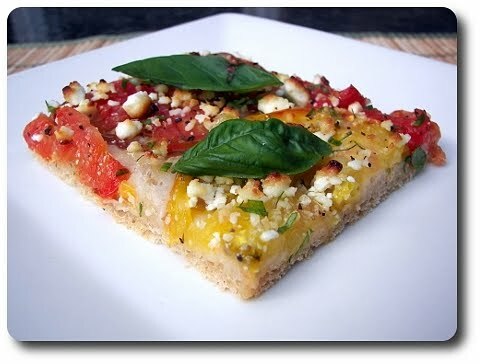 Sprinkle enough cornmeal to lightly cover a pizza peel. Stretch and roll out dough to a rough 12" to 13" circle and transfer to the cornmeal-dusted peel. Crimp edges of dough with fingers to form a 1/2" rim around the outside of the dough. 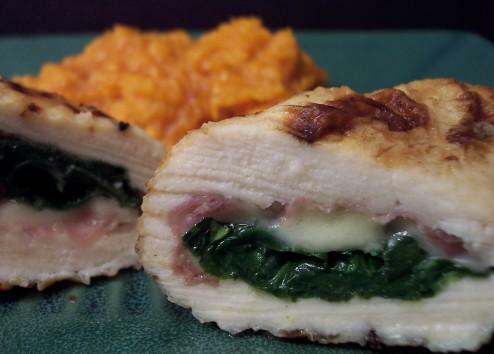 Slide crust onto the stone and cook until the bottom is lightly golden, about 7 to 9 minutes. Carefully remove from the oven and place crust onto a wire rack. Meanwhile, heat 1 teaspoon oil in a large skillet over medium. Add sausage and cook, stirring to crumble, until sausage has cooked through and is lightly browned, about 7 to 9 minutes. Transfer sausage to a plate and add remaining teaspoon oil - stir in shallots and cook, stirring often, until they just begin to brown, about 2 minutes. Stir in asparagus and cook until it begins to soften, about 2 to 3 minutes more. Spread the cooked vegetable mixture over the crust and scatter the sausage over the top. In a medium bowl, whisk together eggs - season with salt and fresh ground black pepper. 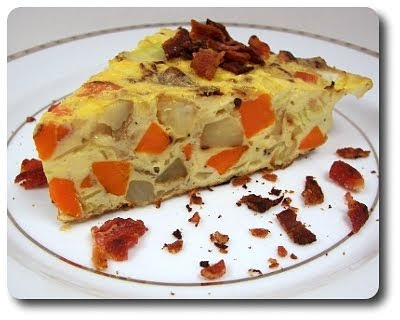 Slowly pour beaten eggs over the vegetables, trying to not let any run off the crust. Scatter both cheeses over the pizza. 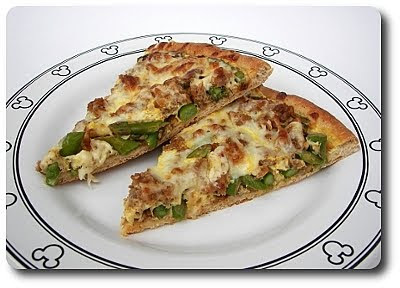 Slide pizza back onto the stone and bake until the eggs are set and the cheese has melted, about 8 to 10 minutes. Remove from the oven and let cool slightly before serving. In a medium bowl, whisk together flour, polenta, baking powder, lavender and salt. In a large mixing bowl, beat together butter and sugar until smooth and creamy. Beat in eggs, one at a time, mixing until well combined after each. Mix in vanilla. Add dry ingredients and mix just until combined - stir in the cherry mixture. Divide dough in half, then shape each into a 7" x 2 3/4" rectangle, roughly 1 1/4" thick. Wrap well in plastic wrap, then store in the freezer until ready to bake. When ready to make cookies, preheat oven to 325 degrees. Working with one dough rectangle at a time, slice the cookies into 1/4" thick slices and place them onto parchment-lined baking sheets. If the dough is too firm to slice well, let the rectangle sit out for a few minutes to soften slightly. Place baking sheets into the oven and bake, rotating the sheets halfway through, until the cookies are a very light brown on top, about 10 to 12 minutes. Remove and place sheets onto a wire rack to cool for two minutes before transferring cookies to another wire rack to cool completely. In a large pot of boiling, salted water, stir in rice and boil, uncovered, for about 26 to 30 minutes (26 minutes yields rice that is firm and chewy while at 30 the rice is still chewy, just a bit more soft and tender). Drain the water away, then immediately place rice back into the hot pot (off the heat) and sprinkle the shredded carrots on top. Tightly cover the pot and allow to steam for 10 minutes. 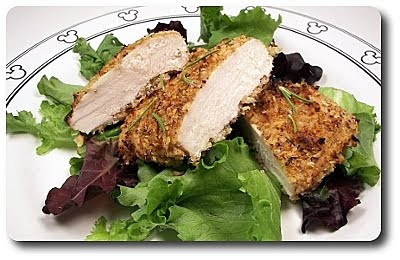 In a medium bowl, stir together breadcrumbs and 3 tablespoons broth or water. Allow to stand for 5 minutes. Add turkey, the whites from the scallions, cilantro, fish sauce, Sriracha, sugar, garlic and 1 1/2 teaspoons salt. Using a light hand, gently mix the ingredients to combine, then divide the mixture into 12 meatballs. In a large skillet, heat 1 1/2 teaspoons oil over medium-high. Brown half the meatballs on all sides (this should take about 7 to 10 minutes). Transfer meatballs to a rimmed baking sheet and set aside. Repeat process with remaining oil and meatballs. Place baking sheet into the oven and allow meatballs to bake until cooked through, about 10 minutes. 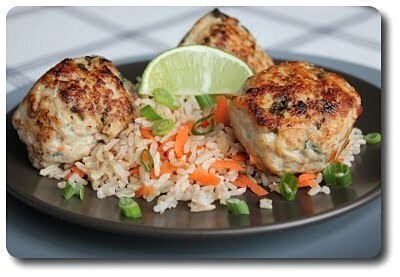 Serve meatballs over rice and a sprinkling of scallion greens on top - add a wedge of lime to each portion to squeeze over. In a medium bowl, whisk together flour, sugar, ginger, baking powder and salt. In a small saucepan, add butter and place over medium heat - cook just until melted. Immediately pour into the dry ingredients, mixing until the dough is combined. Mix in the egg, crystallized ginger, honey and zest, beating vigorously to make a smooth dough. Scoop the dough into a 9" x 13" baking pan coated with nonstick spray, pressing it over the bottom to form an even layer. 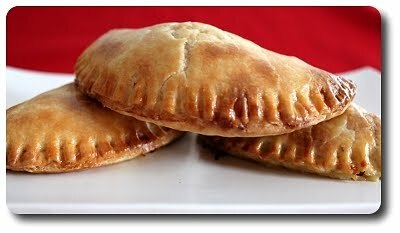 Place pan into the oven and bake until the top is firm to the touch and lightly golden, about 20 to 25 minutes. Meanwhile, as the bars bake, place confectioners' sugar and lemon juice in a medium bowl, stirring until smooth. 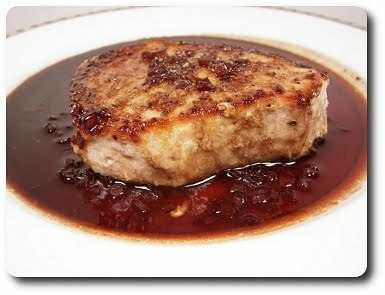 If the glaze seems too thick to spread, stir in 1/2 teaspoon water at a time, until it becomes a spreadable consistency. When the bars are done, remove the pan from the oven and place a cutting board directly on top of the pan - carefully invert the hot bars onto the board. Lift the pan away and immediately pour glaze over the bars, spreading it evenly on top. Cut into 2" bars to serve. In a large microwave-safe bowl, add bittersweet chocolate and cubed butter - heat in microwave using 50% power, stirring every 30 seconds, until melted and smooth. Whisk in sugars until combined. Add eggs and vanilla, whisking until smooth. 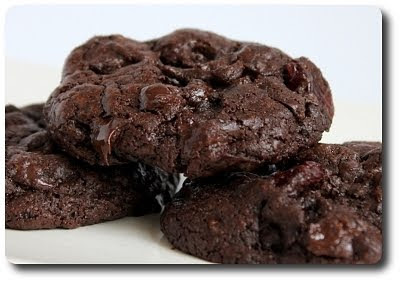 Add dry ingredients and mix just until combined - fold in semisweet chocolate and dried cherries. Cover bowl and place into the refrigerator until the dough is firm, 30 to 45 minutes. Scoop out dough (about 2 level tablespoons worth per cookie) and drop onto parchment-lined baking sheets, spacing them 2 inches apart. Place into the oven and bake just until edges are firm, about 11 to 13 minutes - the cookies may look and feel a little underdone. Remove from the oven and allow cookies to cool for 4 to 5 minutes before transferring them to a wire rack to cool completely. In a large mixing bowl, beat butter until creamy and smooth. Mix in confectioners' sugar until well combined. Beat in egg, vanilla and almond extract. Add dry ingredients and mix until a smooth dough forms. Cover dough and place into the refrigerator to firm up for 30 minutes. Using a tablespoon scoop worth of dough (work with 5 or 6 pieces at a time, keeping the rest of the dough chilled), roll dough into balls. Roll each piece back and forth with palms into a finger shape, about 3" long. Pinch dough roughly in the middle to form a knuckle, then transfer to a parchment or silpat lined baking sheet. Repeat process with remaining dough. 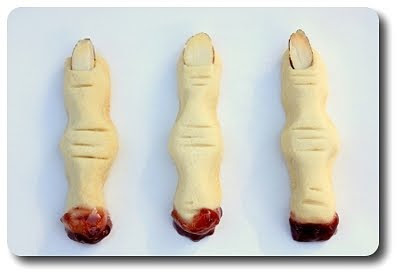 Using the back of a knife, score the finger cookies lightly in two or three places (making the knuckle shapes stand out, using two or three slits per), then stick a sliced almond on 1 end of each to create fingernails. Place baking sheets into the freezer for 15 to 20 minutes. 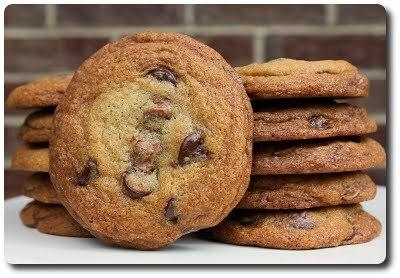 When oven is heated, bake cookies until pale golden, about 18 to 22 minutes, rotating baking sheet halfway through. Remove from the oven and allow cookies to cook for 2 minutes before transferring them to wire racks. Allow to cool completely. To finish, warm raspberry jam in a small pan on the stove or in a microwave-safe bowl just until softened and smooth. Dip the end of each cookie (opposite of the sliced almond) into the sauce. Makes about 38 severed fingers. In a large mixing bowl, beat together butter, sugar, vanilla and salt until smooth and creamy. Add flour and peanuts, mixing just until combined. Scoop the dough into a 9" x 13" baking pan coated with nonstick spray - press dough down to form an even layer over the bottom of the pan. Place pan into the oven and bake until the crust is golden, about 12 to 15 minutes. Remove and place pan on a wire rack to cool for 10 minutes. Meanwhile, decrease oven temperature to 350 degrees. 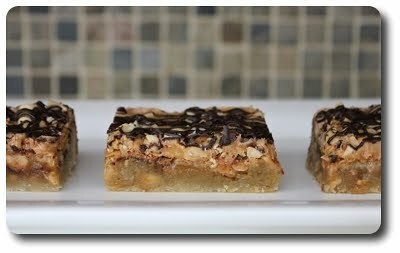 Slice Snickers bars into 1/4" thick pieces. Arrange the top of the crust evenly with the sliced Snickers, leaving roughly 1/4" between the pieces of candy bars. In a large bowl, whisk together eggs, sugar, syrup, butter, vanilla and salt. 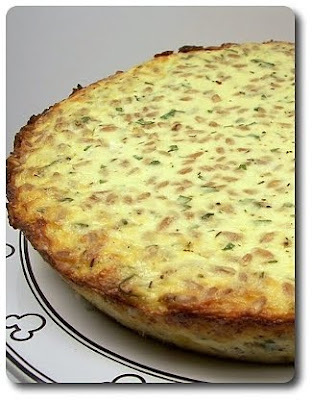 Pour mixture over the crust - place pan into the oven and bake until the center is set, about 25 to 30 minutes. Remove from the oven and place pan on a wire rack to cool for 20 minutes. 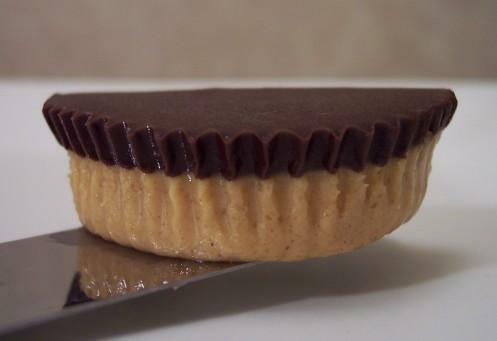 Drop dollops of the peanut butter over the top, then use an off-set spatula to spread it to an even layer. Scatter the top with the chopped peanuts. Randomly drizzle melted chocolate over the chopped peanuts. 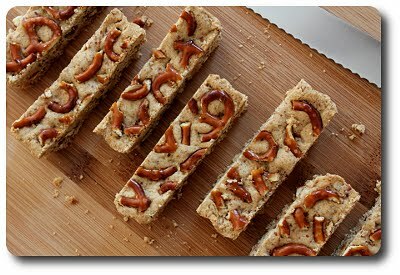 Place pan into the refrigerator and chill for at least 1 hour before cutting into bars. Makes about 25 to 30 bars. Place 3/4 cup rice, cheese, chipotle and salt into a food processor - pulse until slightly pasty. Add chopped poblano, scallions, peas and pepitas - pulse just until the vegetables are blended in and coarsely chopped. Scoop mixture out into a bowl and knead in remaining rice. 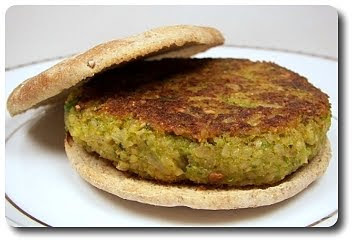 Using damped hands, divide mixture into four equal pieces, shaping each firmly into a 4" patty, roughly 3/4" thick. Place into the refrigerator and chill for 20 to 30 minutes. Preheat grill pan. Brush one side of the patties with oil and place, oiled side down, into the grill pan - cook over medium heat until golden and crusty, about 5 minutes. Brush top side with oil, then carefully turn patty over and cook until heated through and golden, about 5 minutes more. Serve on buns or rolls with your toppings of choice. 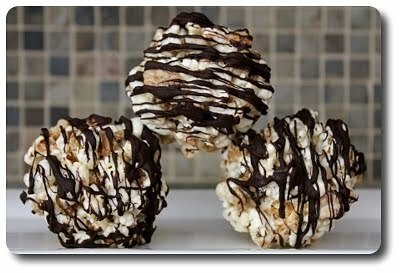 In a large roasting pan coated with nonstick spray, toss together popcorn, graham cracker pieces and 1 cup marshmallows. In a large saucepan, melt together butter, remaining 5 cups marshmallows and salt, stirring until smooth. Remove from the heat and stir in vanilla. Pour melted marshmallows over the popcorn mixture and stir to coat - set aside until cool enough to handle. Lightly coat hands with cooking spray - shape the mixture, using roughly 3/4 cup per, into balls, placing on a parchment-lined baking sheet. Allow to cool completely. Drizzle the tops of the balls with melted chocolate - place into the refrigerator until set, about 10 minutes. Place oats into a food processor and pulse until finely ground. Add flours, cinnamon, salt and baking soda, pulsing to combine. In a large mixing bowl, beat together butter and sugar until smooth and creamy. Beat in egg until thoroughly mixed. Add dry ingredients and stir until combined. Using a tablespoon cookie scoop, drop dough about 1 1/2" apart onto parchment-lined baking sheets. 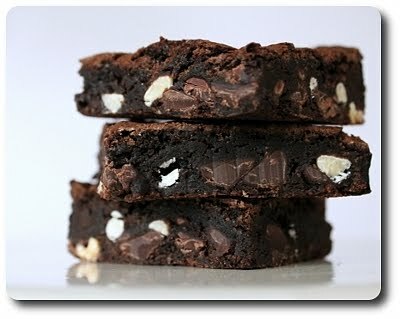 Top each piece of dough with a chocolate square. Place into the oven and bake, rotating pans halfway through, until the cookies are lightly golden, about 11 to 13 minutes. Remove baking sheets from the oven - preheat broiler. 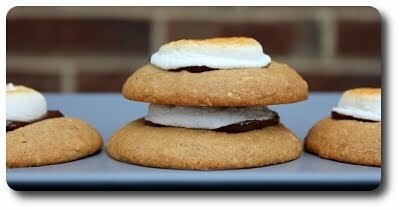 Top each cookie with a halved marshmallow. Place one sheet under the broiler just until the marshmallows have lightly browned, about 30 seconds to 1 minute. Repeat with remaining sheet of cookies. Transfer cookies to a wire rack to cool completely before serving. In a medium bowl, stir together flour, water and yeast until well combined. Cover and set aside at room temperature to rest overnight. Place all of the starter mixture in a large bowl - add flour, water, salt and yeast. Mix ingredients together, then scoop them out onto a lightly floured surface and knead until the dough is smooth and stiff, but not dry. Since you are using bread flour, this may take awhile if doing by hand - you could also use a stand mixer or bread machine. Place the kneaded dough into a lightly greased large bowl - cover and set aside to rise for 1 hour. Gently deflate dough, then re-cover and allow it to rise for another 30 minutes. Scoop dough out onto your work surface and divide it into 12 even pieces. Roll each piece into tight ball, then cover and allow dough to rest again for 30 minutes - the balls should only puff up slightly. While the dough balls are resting, add water and malt into a large (at least 10") wide pan, then place over medium heat and bring water to a gentle boil. Using a lightly floured finger, poke a hole into the center of each dough ball and gently enlarge the hole by twirling and working the dough around your finger until they are a uniform shape and the hole is about 2" wide. Place bagels onto baking sheet lined with parchment paper and also sprayed with cooking spray. Transfer the bagels, four at a time if possible, into the simmering water. If you find the temperature of the water decreases too much, increase the heat to bring the water back up to a gently simmering boil. Cook the bagels for 2 minutes, flip them over, and cook 1 minute more. Using the end of a wooden spoon, remove the bagels from the water and place them back on the baking sheet. Repeat with the remaining bagels. 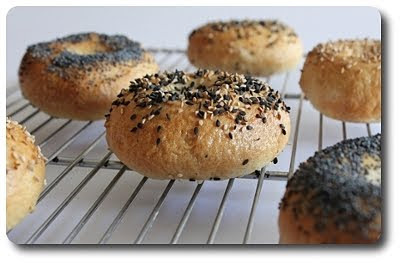 Place the pan into the oven and bake for 15 minutes - remove and spritz the top of the bagels with water and sprinkle each with sesame or poppy seeds, if desired (if you want plain bagels, skip this step and bake for about 25 minutes total). Place pan back into the oven and bake until they are as golden brown as you would like, about 10 to 15 minutes more. Remove from the oven and transfer bagels to a wire rack to cool completely. Preheat oven 350 degrees degrees. In a medium bowl, whisk together flour, cornmeal, baking powder and salt. 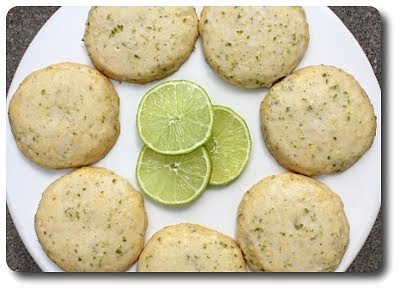 In a large mixing bowl, add sugar and lime zest - rub the two together with your fingers until the zest is evenly distributed and the sugar feels moistened. Add butter and cream mixture together until very light and fluffy, scraping down the side of the bowl as needed - this should take a good five minutes. Beat in the eggs, one at a time, mixing until combined after each. Mix in vanilla. Add dry ingredients and mix just until combined. 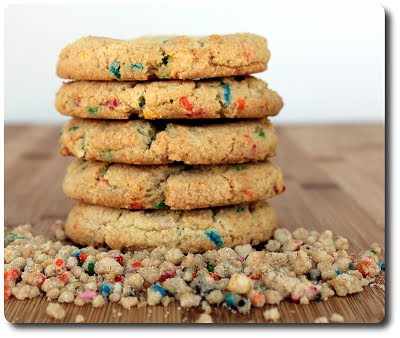 Scoop out about two tablespoons of dough (which is roughly a generously heaping tablespoon cookie scoop worth) per cookie and place onto parchment or silpat-lined baking sheets - flatten each slightly. Place into the oven and bake, rotating sheets halfway through, until the cookies are pale in the center, yet lightly brown around the edges (the center should be just firm to the touch), about 14 to 17 minutes. Remove and place baking sheets onto a wire rack and allow cookies to cool (still on the baking sheet) for 15 to 20 minutes. Transfer cookies to the rack and allow to cool completely. In a small bowl, whisk together confectioners’ sugar, water, lime juice and zest until smooth and combined. Brush the cookies with a thin layer of the glaze - set aside and allow glaze to set before serving or storing. Roll or stretch dough into a 11" x 16" rectangle on a cornmeal dusted surface. Transfer dough to a 10" x 15" baking pan coated with nonstick spray, pressing dough evenly over the bottom and into the corners. Cover and set aside until dough has become puffy and almost double in size. As the dough rises, arrange tomato slices in a single layer on top of several layers - cover with additional paper towels. Lightly press down occasionally to help pull out excess moisture. When dough has sufficiently risen, uncover and evenly arrange tomato slices over dough - scatter cheese over the top, then season lightly with salt and fresh ground black pepper. Place pan into the oven and bake until the crust is lightly browned, about 20 to 26 minutes. Remove pan from the oven and slide flatbread onto a wire rack to cool for 5 minutes. Scatter the chives and parsley over the top, then drizzle with olive oil. Arrange fresh basil leaves over the top just before cutting into squares. In a small bowl, whisk together flour, baking powder, baking soda, cinnamon and salt. In a large mixing bowl, beat together butter, brown sugar and granulated sugar until smooth and creamy. Beat in egg and vanilla. Add dry ingredients and mix just until combined. Scoop out dough using a scant tablespoon cookie scoop to form 24 balls of dough. Dip rounded sides of each ball of dough into the sugar coating, then place, sugar side up, on parchment-lined baking sheets. Place into the oven and bake, rotating pans halfway though, until the cookies are golden around the edges, about 8 to 11 minutes. Remove (leave oven on) and allow cookies to cool on the pans for two minutes before transferring them to a wire rack to cool completely. Scatter hazelnuts onto a small baking sheet. Place into the oven and bake until lightly colored and the skins have blistered, about 8 to 15 minutes. Remove and place hot nuts into a kitchen towel and let steam for 3 to 4 minutes. Vigorously rub nuts together in the towel to remove loose skins and allow to cool completely. If some of the skin remains, it is ok. In a food processor, add hazelnuts and process until finely ground. Add confectioners’ sugar, butter and pinch of salt. Process mixture until smooth. 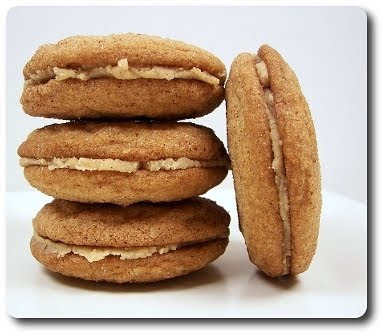 Evenly spread mixture between the flat bottoms of half the cookies - sandwich with remaining cookies. In a medium bowl, whisk together flour, salt and cocoa powder. In a large mixing bowl, beat butter until smooth. Beat in sugar and mix until light and fluffy. Beat in eggs, one at a time, mixing until well combined after each and scraping down the sides of the bowl as necessary. Mix in vanilla. Combine buttermilk and food coloring. Alternately add the flour mixture and buttermilk to the butter mixture, beginning and ending with the dry ingredients. In a small bowl, stir together vinegar and baking soda. Quickly add into cake batter, then use a spatula to fold the mixture together. Pour batter into a 9" x 13" baking pan coated with nonstick spray, smoothing the top with an off-set spatula. Place into the oven and bake until the cake begins to pull away from the sides of the pan and a toothpick placed into the center comes out mostly clean with a few moist crumbs attached, about 28 to 35 minutes. Remove and place pan on a wire rack to cool for 10 minutes before turning the cake out onto a wire rack to cool completely. In a large mixing bowl, beat butter until soft and smooth. Add cream cheese and mix until combined. Add vanilla, salt and 3 cups confectioners' sugar - mix until smooth and fluffy. If you think the frosting needs to be thicker, mix in remaining confectioners' sugar. Crumble completely cooled cake into a large mixing bowl. Add about half of the frosting, then stir the mixture together until well combined - don't be afraid to use your hands if needed. The crumbs should stick together well, but the mixture shouldn't be too wet or sticky. If you find it is too dry, add more frosting. Take the mixture and press it into a 9" x 13" x 1" baking pan lined with plastic wrap or parchment paper, making sure it is as level and smooth as possible. Wrap pan in plastic wrap, then place into the refrigerator or freezer until firm enough to handle. 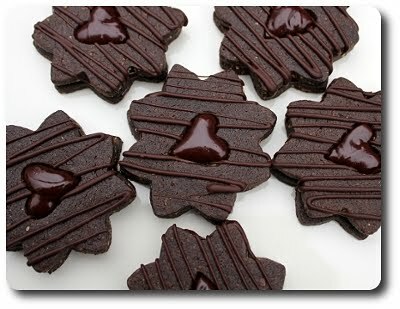 Unwrap and use a heart-shaped cookie cutter to stamp out hearts. If you need more hearts, take all the scraps and repeat the same process. You won't fill the pan again, but be sure to keep the same thickness (about 3/4" t 1"). If you don't want more hearts, roll the remain cake mixture into balls. Dip one end of the lollipop stick into melted candy coating, then press into the bottom of the heart - aim for stopping the stick when it reaches about 3/4 of the way through the heart. When all are done (along with any balls, if using), refrigerate for several hours (or set in the freezer for 15 to 25 minutes) until firm. 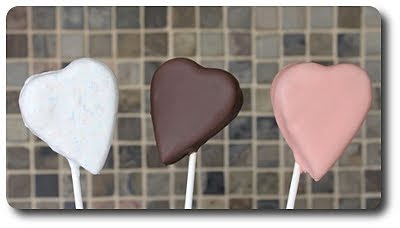 Dip hearts (and balls, if using) into melted candy coating to coat, letting any excess drip away. Place sticks into a block of Styrofoam to allow coating to dry before storing. Makes about 22 heart pops and about 26 cake ball pops. In a medium saucepan, combine the apples, apricots, cranberries, sugar, water and salt - bring mixture to a boil over high heat. Remove from the heat and set aside - let stand for 1 hour. Scoop mixture into a food processor and pulse until a chunky jam forms, about 8 to 12 pulses. Scrap mixture out into a bowl and set aside. In the food processor, add cooled walnuts, flour, oats, brown sugar, coconut, salt, cinnamon and butter - pulse mixture until evenly combined, about 12 to 15 pulses. Scoop mixture into a medium bowl and drizzle honey all over the top. Using your hands, work honey into the mixture until it comes together. Take two-thirds of the mixture and press it over the bottom of a 9" x 13" baking pan lined with parchment paper. Take remaining mixture left behind and place into the refrigerator. Place pan into the oven and bake until lightly golden brown, about 28 to 35 minutes. 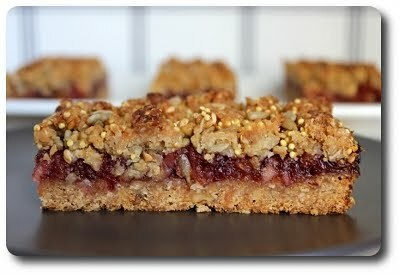 Remove from the oven - scoop chunky jam on top and spread to an even layer with an off-set spatula. Remove reserved granola base from the refrigerator - break up mixture into small pieces. Stir in flaxseeds, sunflower seeds and millet. Evenly scatter the mixture over the top of the jam. Place pan back into the oven and bake until the top is golden brown, about 50 to 60 minutes. Remove and place pan on a wire rack to cool completely before cutting into bars. Makes about 12 large bars or 24 squares. In a large bowl, stir together flour, oil, cold water and salt with a fork until combined. Scoop mixture out onto a lightly floured work surface and knead lightly for 1 minute. Wrap dough with plastic wrap and allow to rest at room temperature for 30 minutes. In a large pot, heat oil over medium-high. Add onion - cook until onion begins to soften, about 4 to 5 minutes. Stir in garlic and cook until fragrant, about 1 minute. 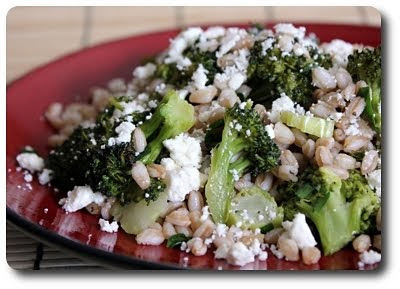 Stir in kale stems and red-pepper flakes - cook, stirring occasionally, until stems begin to soften, about 2 minutes. Reduce heat to medium - add leaves into the pot and season with salt and fresh ground black pepper. Cover and cook until the leaves wilt, about 4 minutes. Uncover and cook, stirring occasionally, until kale is soft, about 2 to 4 minutes. Drain, pressing out as much liquid as possible. Preheat oven to 400 degrees with a rack placed in the lowest position. 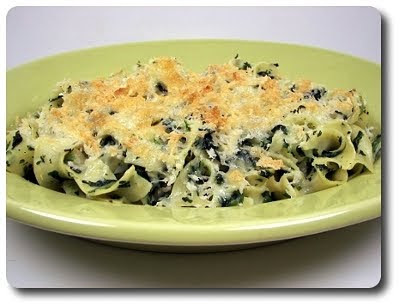 Place kale mixture in a large bowl - add Parmesan, flour, lemon zest and juice, tossing until combined. Season with salt and pepper - set aside to cool. Roll two-thirds of the dough to a 12 1/2" round on a lightly floured surface. Fit dough into an 8" cake pan (use one that is 2" deep) lightly coated with cooking spray. 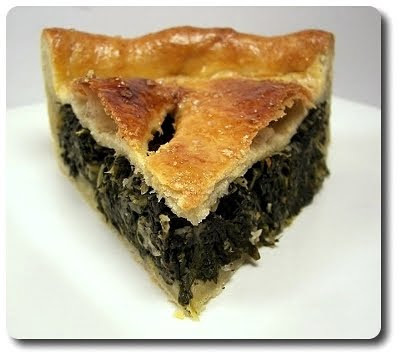 Place kale mixture over the bottom of the crust. Roll remaining dough to a 9 1/2" round - drape over the top of the filling, pinching edges of dough together and tucking them in to seal. Slice several slits on top of the dough for vents. In a small bowl, beat together egg yolk and water. Brush mixture over the top of the dough, avoiding the edges of the crust as much as possible. Sprinkle the top lightly with salt. Place into the oven and bake until the crust is deeply golden, about 40 to 50 minutes. Remove and allow to cool for 10 to 15 minutes before serving. In a large bowl, whisk together eggs and egg whites - season with 1 teaspoon salt and fresh ground black pepper to taste. Lay bacon strips on the bottom of a large, oven-safe skillet - place over medium heat and cook until the bacon is crisp, about 5 to 8 minutes. Transfer bacon to a paper-towel lined plate and crumble when cool enough to handle. Reserve 3 tablespoons bacon fat in the pan and discard any excess. Increase heat to medium-high and add potatoes and carrots - cook, stirring occasionally, until softened, about 5 minutes. Stir in the cabbage and onion - season with salt and pepper, then cook until browned, about 5 minutes. Pour eggs into the vegetable mixture and quickly stir to combine. Cook until the edges begin to set, but the center is still runny, about 3 minutes. Remove from the heat and place skillet into the oven - bake until the eggs are set in the center and the edges are golden brown, about 10 to 15 minutes. 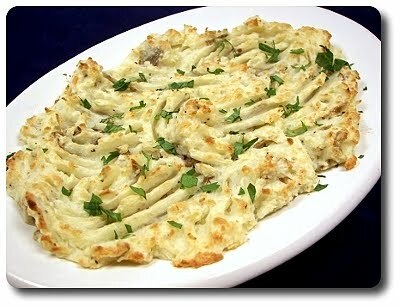 Remove from the oven and serve with crumbled bacon and dollops of sour cream, if desired. In a large mixing bowl, beat butter until creamy and smooth. Add sugars and beat until light and fluffy. Mix in eggs, one at a time, beating until well combined after each addition. Mix in vanilla and melted chocolate. Alternately mix in the flour mixture and buttermilk, beginning and ending with the dry ingredients, mixing just until combined. Be sure to stop and scrape down the sides of the bowl once or twice to ensure even mixing. Mix together boiling water and espresso - carefully pour into the batter and mix to combine - the batter will thin. Stir in chopped chocolate. Evenly divide the batter between 2 8" round baking pans that have been coated with nonstick cooking spray. Line the bottom of the pans with parchment paper, if desired, then spray once more before adding the batter. Place pans into the oven and bake, rotating halfway through, until the cake springs back when lightly pressed in the center and a toothpick placed near the center comes out mostly clean with a few moist crumbs attached, about 25 to 30 minutes. Remove from the oven and set pans on a wire rack to cool for 5 minutes. Turn cakes out of the pan and place onto wire racks, top side up, to cool completely. When cakes have completely cooled, gently slice each in half. Set three layers aside, then crumble the fourth. Place egg whites into a clean mixing bowl. In a small saucepan, add sugar, cream of tartar and salt. Bring mixture to a boil, then cover and cook for 3 minutes. Uncover and cook until the syrup reaches 242 degrees on a candy thermometer. Meanwhile, as the syrup nears 230 to 235 degrees, begin beating the egg whites to soft peaks using the whisk attachment. With the mixer still running, remove syrup from the heat and begin to pour it in a slow, steady stream into egg whites. Mix in vanilla. Continue to beat the frosting until it has come to room temperature, about 5 to 7 minutes. 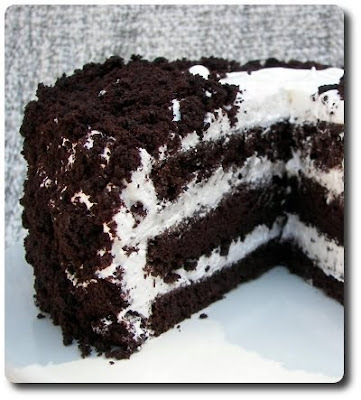 Place a bottom layer cake, cut side up, onto a cake stand or serving platter. Top with a generous amount of the marshmallow frosting and spread into an even layer. Repeat process with another layer of cake and frosting. Add final layer, cut side down, and frost top and sides of the cake. Cover frosted cake with the crumbled crumbs from the fourth cake layer, patting them gently into the frosting to adhere. Place cake into the refrigerator to chill for at least 1 hour before serving.